Here are some tips to achieve maximum revenue growth. Tip #1 - Run a mix of brand awareness, lead generating and lead nurturing/drip campaigns. Build your marketing plan to include a healthy mix of campaign types to bring in different kinds of contacts and leads. Brand awareness campaigns build awareness of your brand, company name and value proposition by putting it in front of a huge number of potential customers. This builds your reputation and credibility and will assist your lead generation efforts by eliminating one of the barriers to purchase – that no one is aware of your company and what it offers. By contrast, lead generation campaigns create interest in your product or service and help in collecting names and contact information for the purpose of filling your pipeline. These leads will then need to be analyzed and segmented for nurturing. Tip # 2 - Have a good understanding of what a lead is and when it is ready to pass to sales. A Marketing Qualified Lead (MQL) isn’t ready to buy. Likely it is some contact information from thought leadership or another campaign the marketing team has initiated. They need nurturing. They’ve indicated they are interested in a product or service like yours, but they are not yet ready to speak to sales. A Sales Qualified Lead (SQL) is ready to speak to your sales people. They have specific questions and they want to know exactly how your product or service can fulfill their needs. Tip #3 – Know the definition of a quality lead. 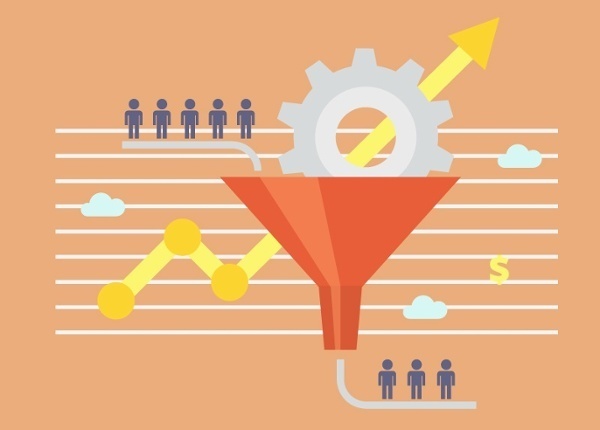 More unqualified leads do not necessarily equal more revenue. Remember why you’re generating leads. Companies can get so focused on lead generation that they begin to see it not as a means to an end, but as an end in itself. It’s time to focus on the quality of leads, rather than the number of leads handed over to sales. By increasing the percentage of MQL and SQL leads that convert to customers, you won’t have to generate more and more unqualified leads to drive revenue. You can't generate quality leads if you don't have a clear definition of what one looks like. Spend time understanding who your best customer is and then select and evaluate each marketing activity according to that criteria. Tip #4 – Have a consistent process and make sure everyone in sales and marketing knows it. Develop and implement a step-by-step, well-defined follow up process. Part of that process must include understanding each customer at that moment in time. This can be achieved by performing a current situation, needs and timing analysis with each lead as soon as it is generated. Tip #5 – Accept that it will take time. Most leads develop into sales opportunities over time. Accept that 90% of your leads will NOT have an immediate project. You should have an action plan for every qualified lead to effectively cultivate it through the sales funnel (lead nurturing). Otherwise, the future sales will be lost. Tip #6 - Sales people shouldn’t follow up. They are not the best resource for the job. Assign a separate team to execute the processes defined in tip 2 and 3. This team should work and “own” every lead until an immediate need is defined, whether this takes a day or a year. Only then, pass the qualified opportunity to the sales person to consult & close. This will keep your sales team productive and effective while ensuring no leads fall through the cracks. Tip #7 - Know and understand what is in your pipeline and the results of your leads. Develop and implement a system – both methodology and sales technology - that will track the leads all the way through the funnel to the final sale. Make this system available to everyone in your organization to use and update. If you found these tips helpful, you might enjoy the entire webinar this blog is based on. You can listen to it here. If you would like help from the experts in a different kind of marketing company, please contact us.